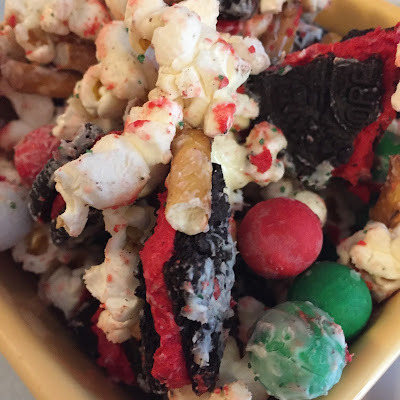 We are halfway through my 12 Days of Christmas foods countdown! 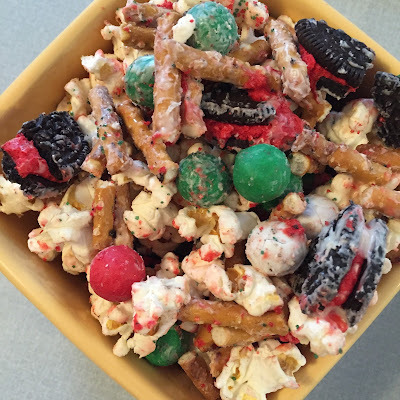 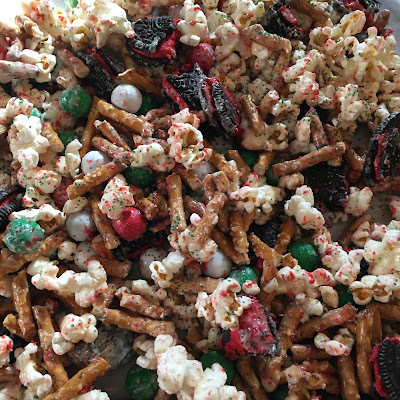 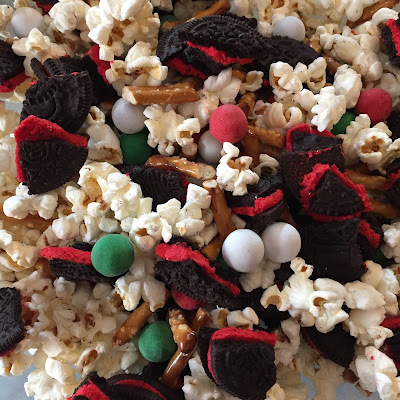 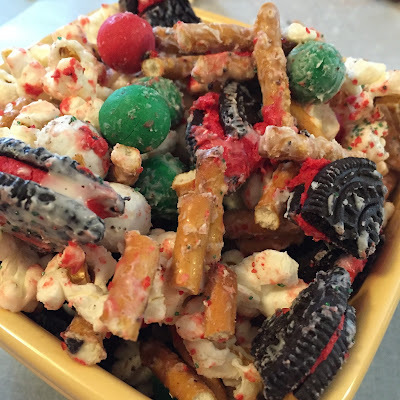 This is a fun snack mix that is so easy to whip up! It's the perfect, festive snack to put out in little bowls when you are having company during the holiday season!